Rising populations in Africa = more crowding. Could Africa be as dense as China in 2100? If the world is seeming crowded, you ain’t seen nothing yet. While many estimates foresee population growth running aground long before 2100, a new study drowns that idea by projecting that 9.6 to 12.3 billion people will cohabit the third rock from the sun by 2100. 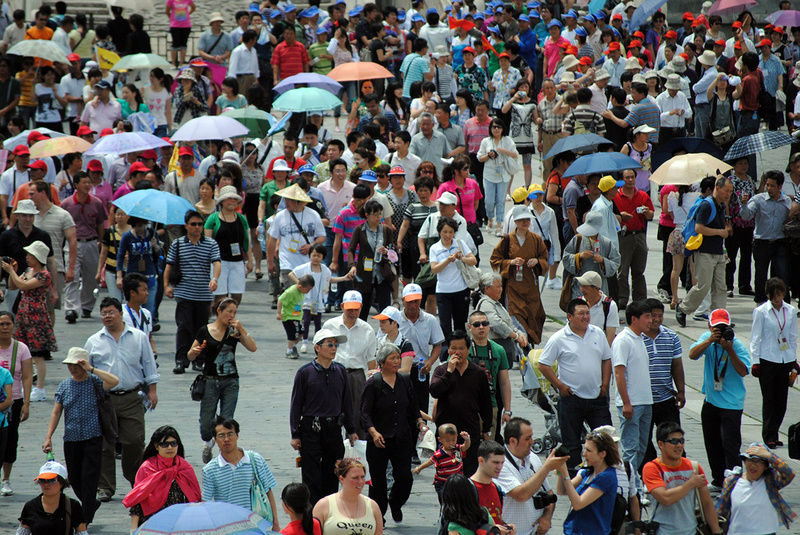 Current population is 7.26 billion, and rising fast. If you think more is better, that’s good news. But you worry if you think population growth feeds shortages of fresh water, border wars, ethnic strife and environmental devastation. Can we feed, clothe, house and employ so many people on one planet? A study published in Science Sept. 19 was grounded on the two main drivers of future population: life expectancy at birth and total fertility — the number of children born per woman over her lifetime. But study leader Adrian Raftery, a professor of statistics and sociology at the University of Washington, Seattle, employed them differently. How much land for food? 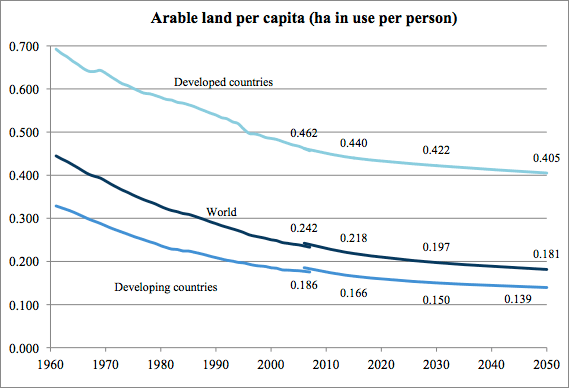 The continuing decline of arable land per person bodes ill for feeding our growing population, especially considering water shortages, soil degradation, climate change and construction of roads, cities and houses. Demographic agencies have traditionally asked experts to put numbers on future life expectancy and fertility. Instead, Raftery says, he and his colleagues at the United Nations Population Division performed a statistical analysis of historic rates in all countries over the last 60 years. Then, in a multi-layer statistical exercise, they created thousands of future scenarios through 2100. The procedure was analogous to climate models, which can be run thousands of times to help assess the probability of each particular projection. Nigeria’s population, currently 160 million, is projected to reach 914 million. Why is Africa’s population growing? * Good news: declining mortality from the HIV/AIDS epidemic. * Bad news: Only 75 percent of African women in relationships who want contraception have access to it. * More bad news: Education for girls is lagging, even though girls in school have more opportunities and access to information about controlling fertility. “Although girl’s education has improved in a lot of African countries, there are still many countries where a high proportion of girls don’t complete elementary school,” Raftery says. Red shows median projection. The range of 95 percent probability is inside red dotted lines. Blue lines show a traditional projection technique that added or subtracted 0.5 child per woman from the central tendency. 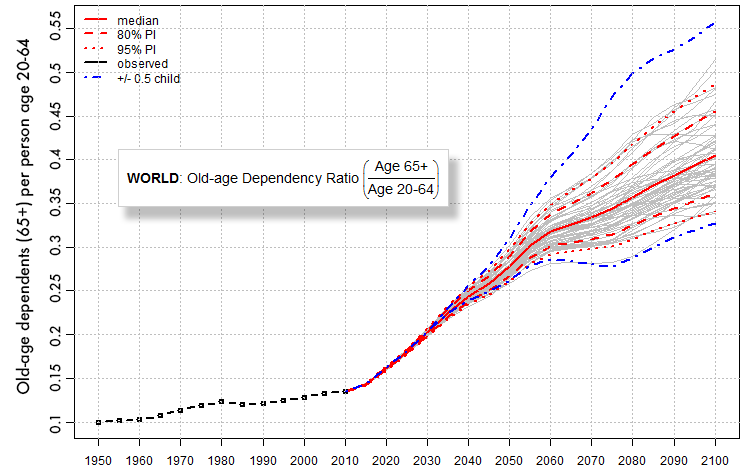 Projections are based on rates of fertility (see rollover) and life expectancy. Health centers are scarce in Niger, West Africa. 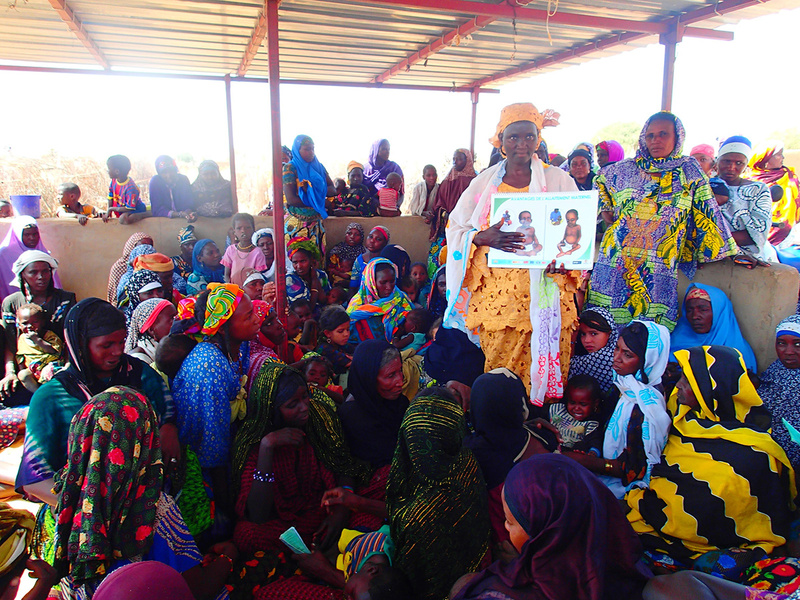 Here, women get information about the so-called “essential family practices,” such as breastfeeding, hygiene and birth spacing. We were skeptical that food-short Africa could survive such a dramatic increase, and Raftery told us his study did not explicitly consider war, famine or disease. Could Africa really survive with the density of China, a country that is buying land in Africa to feed its people? We had trouble imagining African nations buying land abroad to feed themselves, but Raftery stuck by his analysis, maintaining that historic demographic data account for historic, real-world cataclysms. Can I get a little support? No? Retirees depend on support from working-age people. 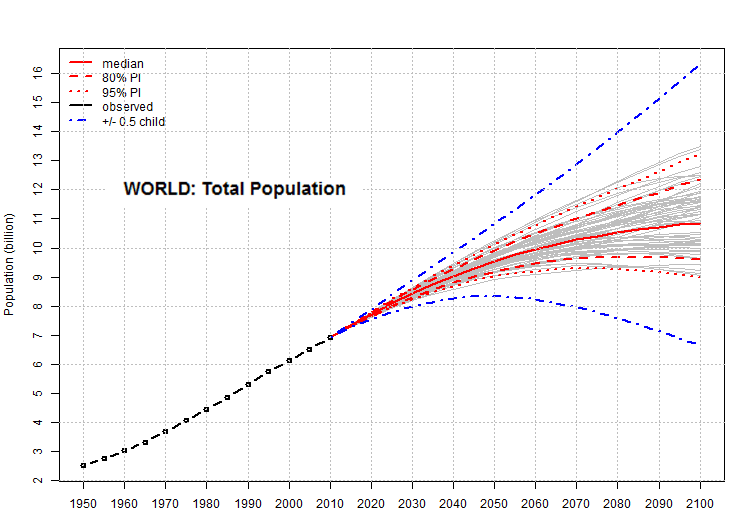 These projections were developed with the same techniques as those used for world population. All of this growth, Raftery says, “will obviously present environmental, health and social challenges for these countries going forward, which would be easier to deal with if the population grew less quickly.” Population feeds global warming, for example, as more people do the things that release greenhouse gases. In Europe, Japan and North America, the issue is already on the table; the rising age for full U.S. Social Security benefits is one attempt to ease the imbalance.